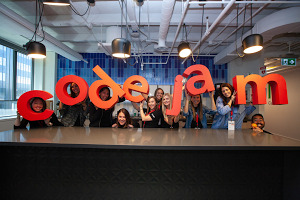 Editor’s Note: Happy New Year from all of us on the Google for Education team! We know you count on Google for Education in your classrooms, and we take that responsibility seriously. 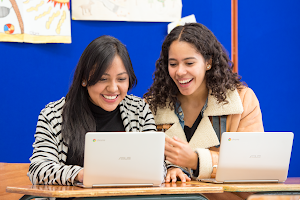 We remain deeply committed to bringing the best of Google to education, and to expanding learning for everyone. As we look to the year ahead, we’re looking back on our 17 favorite moments from 2017. 1. Did an hour of code with Chance the Rapper for Computer Science Education Week, surprising a Chicago classroom and announcing a $1.5 million Google.org grant to provide CS for students across Chicago Public Schools. We also released the first-ever programmable Google Doodle and invited students to code their own Google logos. 2. Announced a new initiative called Grow with Google which provides access to digital tools and training for students, teachers, job-seekers and lifelong learners. 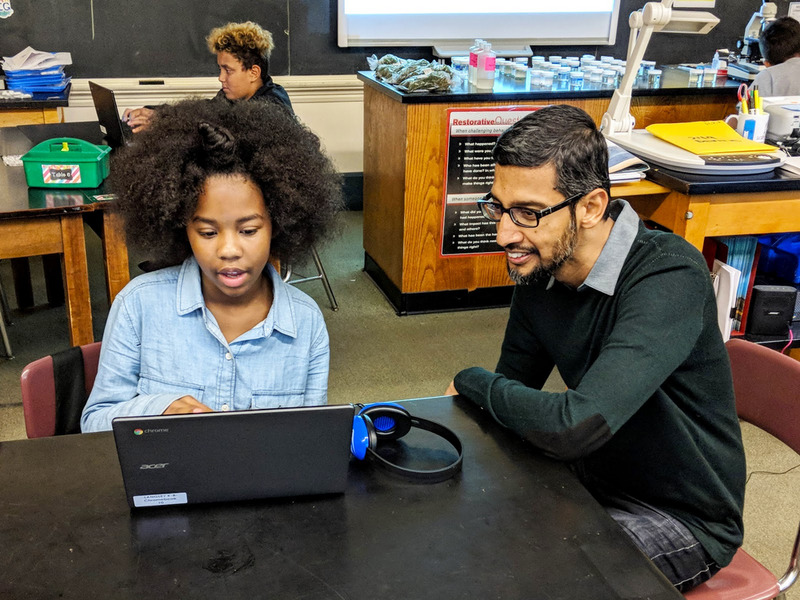 As part of the announcement, our CEO Sundar Pichai visited one of the Pittsburgh classrooms participating in our new Dynamic Learning Project, a pilot that empowers educators to use technology in meaningful ways. 3. Introduced a new generation of Chromebooks that let you use a stylus and flip from laptop to tablet mode. These Chromebooks have cameras on two sides and USB-C charging. New devices from Acer, Asus, HP, Dell and Lenovo come in all shapes, sizes, and price points to meet the needs of different teachers, students, schools and districts. A next generation Chromebook with dual camera flipped into tablet mode. 4. Went back to school with a new resource hub for teachers. On #FirstDayOfClassroom, there’s helpful Google for Education tips and tricks from the people who know our tools the best—educators. Thanks to input from our dedicated community, we were also able to introduce the most-requested features in Google Classroom and Forms. 5. Met the Internaut, a digital citizenship guru and mascot of Be Internet Awesome, a program to help students make smart decisions online. With resources for students (including the online game Interland), educators, and families, everyone has the tools to learn and participate in digital safety and citizenship. Bonus: we also launched a Digital Citizenship and Safety course. 6. Celebrated International Literacy Day by creating and translating more than 1,000 children’s books for StoryWeaver, a Google.org grantee, with the #1000books campaign. Our support of Storyweaver is part of our 2016-2017 $50 million philanthropic commitment to nonprofit organizations working to close global learning gaps. 7. Were inspired by more than 11,000 girls from 103 countries during the Technovation Challenge. 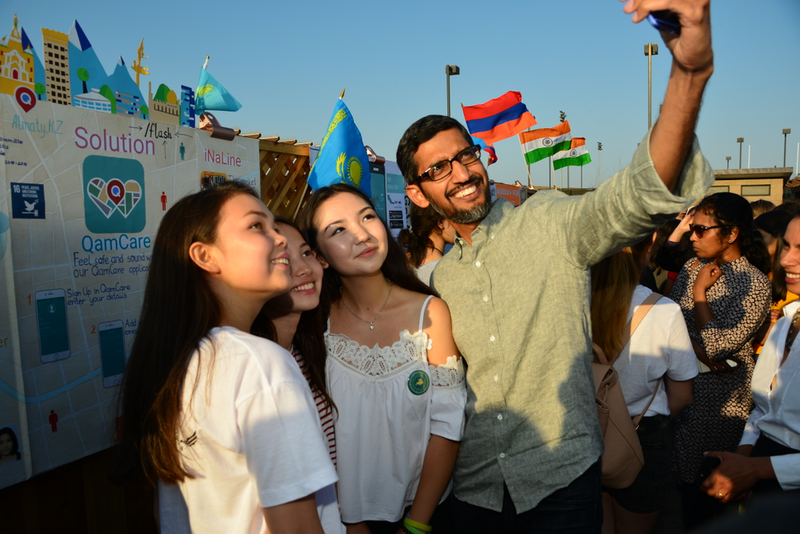 Finalists came to Google’s Mountain View headquarters to pitch their projects, which address issues in categories including peace, poverty, environment, equality, education, and health. 8. Used technology to amplify student stories. Working with the non-profit 826 Valencia, Googlers helped under-resourced students create A Planet Ruled by Love using Tilt Brush. The result was a virtual reality movie that helped kids express themselves through storytelling and technology. 9. Ate funnel cakes and coded at the Illinois State Fair. 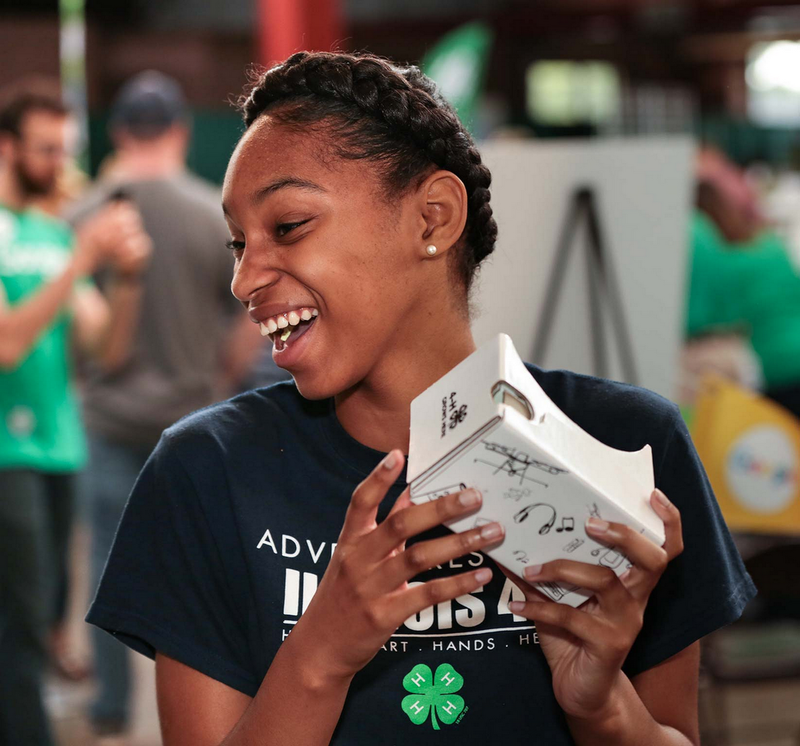 We also announced our support of 4-H with a $1.5 million Google.org grant to provide students around the U.S. the opportunity to grow their future skills through computer science programming. Eat your heart out, blue ribbon marmalade. 10. Did our research. Partnering with Gallup, we learned that students who are encouraged by a teacher or parent are three times more likely to be interested in learning computer science. 2018 resolution idea: Share more facts like these to help spur educators, families and advocates to encourage all students to learn computer science. 11. Caught Hamilton fever. With support from Google.org and the Gilder Lehrman Institute, 5,000 students from Title I schools in New York, Chicago, and the Bay Area revolutionized how we learn about American history. After a six week program, students created their own pieces that they performed on the Hamilton stage (the room where it happens). 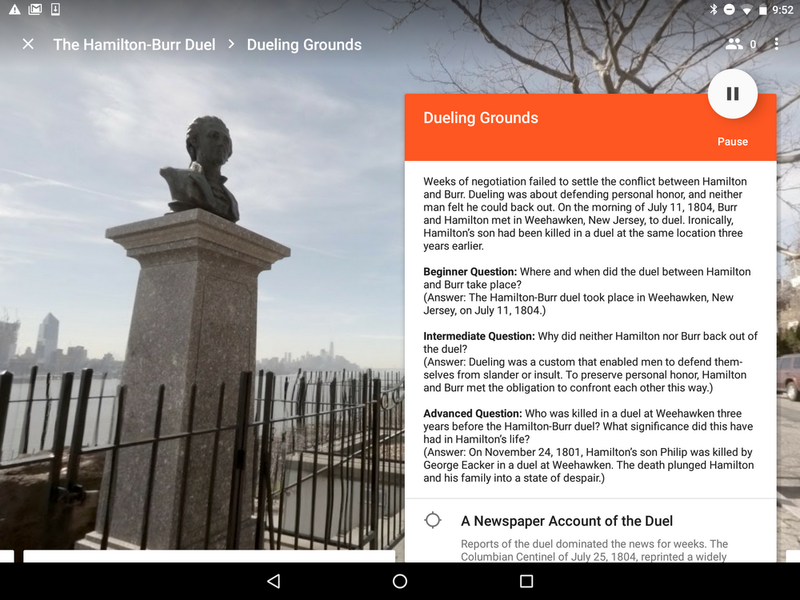 Google Expeditions helped bring students closer to Alexander Hamilton’s history. 12. 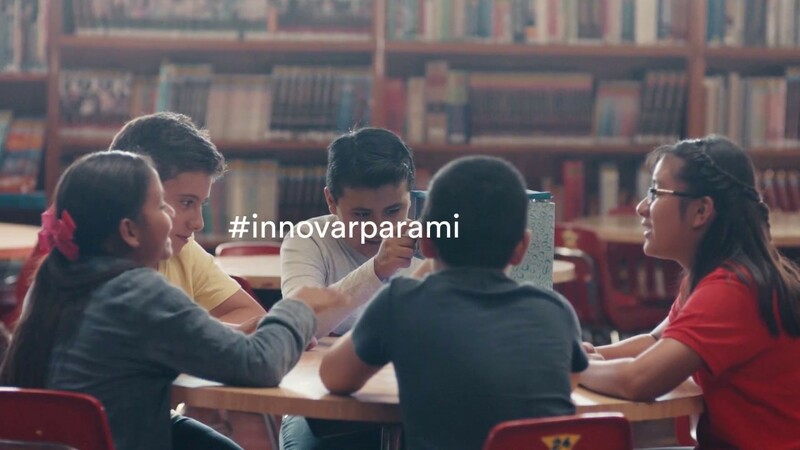 Were awestruck by the innovators in Latin America who joined the #InnovarParaMi movement. From a teacher helping indigenous women in Mexico get online to a fifth grader turning water bottles into light bulbs, teachers and students across Latin America are using technology to empower a rising generation of innovative changemakers. Partnered with Wonder Woman and Google Play to show how computer science is used in movie production, and amplified female empowerment through a coding project and a video with VFX producer Amber Kirsch. Along with Snap Inc., we launched #MyFutureMe, a contest inviting teens to design their own Snapchat Geofilter and submit a statement about the future they envision. Connecticut 10th grader Sarah Harrison's Doodle, "A Peaceful Future" (center) was chosen as the national winner. 15. Connected live with thousands of educators and students at events around the world like Bett in London, ISTE in Texas, EduTECH in Australia, EDUCAUSE in Pennsylvania and more. 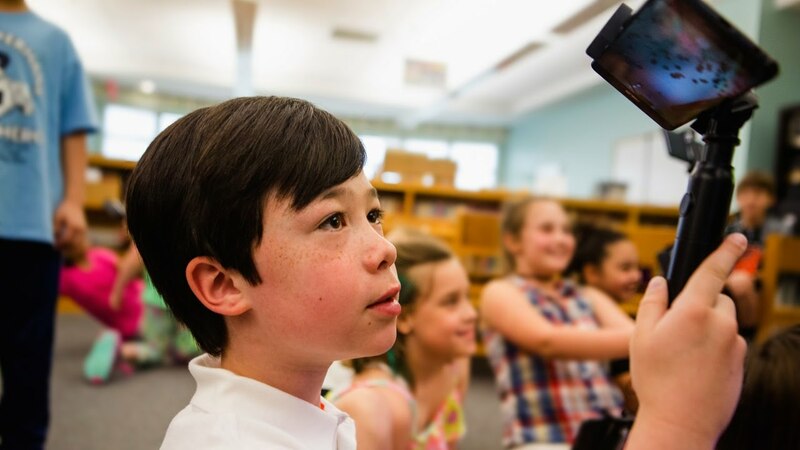 We hosted an online conference—EduOnAir—in Australia, celebrated Dia dos Professores in Brasil, hosted a study tour in Sweden, kicked off a new school year in Mexico, and road-tripped across the US with ExploreEDU. 17. Threw our first-ever PD party to celebrate passionate lifelong learners. Throughout the week of festivities, we offered discounts on our professional development programs and hosted webinars from Certified Educators, Trainers and Innovators. Looking for a 2018 resolution? Explore our Training Center for a professional development opportunity that’s right for you. We are constantly inspired by the powerful work of educators around the world and we are excited to continue working together this coming year and beyond. Thank you for all that you do, both inside and outside the classroom, to help prepare future generations to make the world a better (and brainier) place!